French President Emmanuel Macron is increasing migrant expulsions and allowing ID checks in emergency shelters in a sign he is struggling to meet his own deadline. Macron said in July he wanted people 'off the streets, out of the woods' by the end of 2017 and emergency lodgings 'everywhere'. But it's getting colder and colder, the clock is ticking and regional authorities are still scrambling to meet his deadline. That won't likely happen, and Macron's government is now tightening the screws: ramping up expulsions, raising pressure on economic migrants and allowing divisive ID checks in emergency shelters. Critics contend that Macron's increasingly tough policy on migrants - though wrapped in a cloak of goodwill - contradicts his image as a humanist who defeated an anti-immigrant populist for the presidency, and has crossed a line passed by no other president in the land that prides itself as the cradle of human rights. From snowy Alpine passes to the borders with Spain or Germany, migrants keep making their way to France. 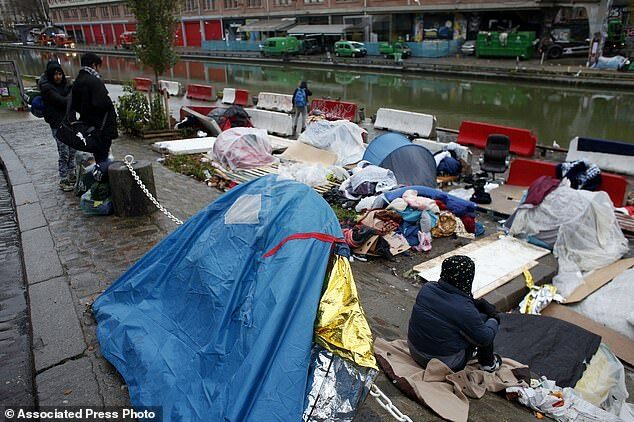 In Paris alone, police have evacuated around 30,000 people camping on sidewalks in the last two years. No one doubts that France's system of dealing with migrants needs fixing, with a perennial housing shortage and long wait times in applying for asylum. 'Living in the street. Living in a tent. Sometimes you get food. 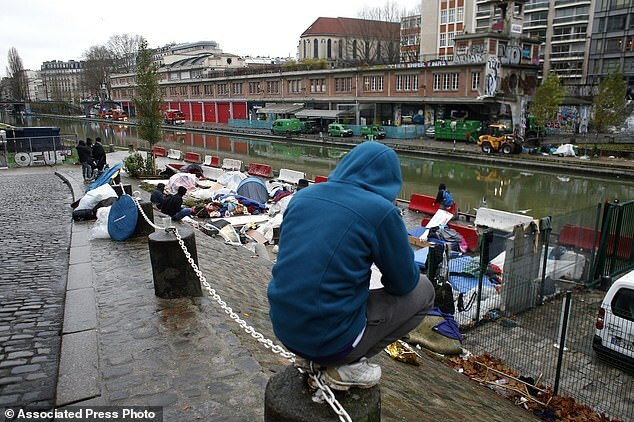 Sometimes you not get food,' said Samsoor Rasooli, a 25-year-old Afghan standing in line since 6 a.m. to apply for asylum at a Paris facility, where some spend the night on the sidewalk, strewn with filth, to keep their place. The door closed at mid-day, the 100 places allotted that day for applicants filled. 'It's winter. I can't sleep in the street,' Rasooli said. Asylum opens the way for temporary housing, but only one-third of the 95,000 applicants this year were accepted, government officials say. The huge makeshift camp in the English Channel port city of Calais, dismantled last year, was emblematic of the problems. Its residents were dispersed around France, but others keep coming in hopes of reaching Britain, and are finding a rude welcome. France's highest administrative body said the migrants have been subjected to inhuman and degrading conditions, and an investigation ordered by the interior minister found that it was 'plausible' that police used excessive force against migrants, as Human Rights Watch maintained. While his words conveyed humanity, the underlying message bites. 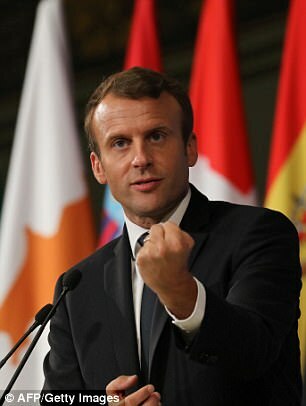 Macron has made clear he wouldn't accept economic migrants in France, wants those who don't qualify for asylum expelled and doesn't want them even trying to come to France. The French president has been rolling out a multi-pronged approach that stretches to Africa, with points set up in Chad and Niger to pre-select those certain of gaining asylum - and weed out potential economic migrants. At home, Interior Minister Gerard Collomb has ordered prefects, regional representatives of the state, to crack down on illegal immigration, 'act quickly' to expel those who fail to gain asylum and report results within weeks, according to a November order cited by the newspaper Le Monde. A newer set of orders in December rang alarm bells. Collomb told regional authorities to set up 'mobile teams' to run checks in emergency housing to ascertain the status of migrants. Emergency shelters are considered bedrocks of the French tradition of open arms to those in need and have long been considered untouchable, even by security authorities. The accent on security in dealing with immigration has appalled even some who support the centrist Macron. In a first, a lawmaker from Macron's young party broke ranks last week with critical remarks about the direction the country is taking on the immigration issue. 'All foreigners in France are not terrorists. All foreigners in France are not indelicate social aid fraudsters,' said Sonia Krimi, to the applause of the opposition. Even far-right leader Marine Le Pen, defeated by Macron in the May presidential race, sees the direction the government is taking as a 'political victory' for her anti-immigration National Front party.